Are we there yet? Is that a knife? Why does Barbie want a shrimp? What's an arvo? And other things I ask Australians. 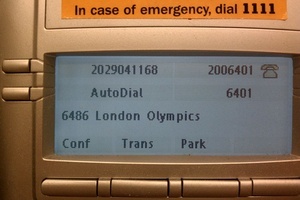 Just before Thanksgiving last year, a new novelty Twitter account gained notice in our newsroom. 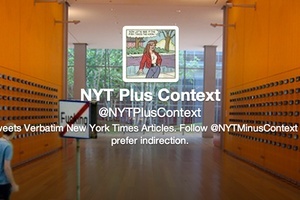 @NYTMinusContext, promising “All Tweets Verbatim From New York Times Content. Not Affiliated with New York Times.” tweeted fragments from Times articles that you might not think twice about while reading in article format. Isolated, though, these phrases can be absurd, surprising, and delightful. Jacqui Maher says it’s not just the numbers, it’s what they mean about the audience. Jacqui Maher on wrangling massively complex, really messy data in (almost) realtime.